Success! 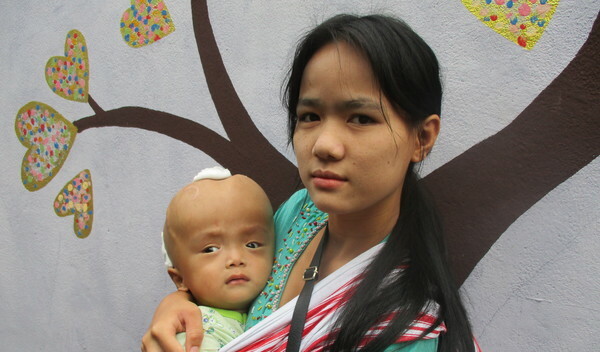 Kar from Burma raised $1,500 to fund brain surgery. Kar's treatment was fully funded on June 21, 2018. Surgery was successful. His symptoms have improved, and he is feeling better. Kar is an eight-month-old boy. He lives with his family in Hpa-an, Karen State, Burma. When Kar was three months old, his parents noticed for the first time that his head size was increasing. Kar was recently diagnosed with hydrocephalus, which has caused fluid to build up in his brain. Without immediate surgery to alleviate the intracranial pressure that the excess fluid is causing, he is at risk of developing severe, potentially fatal medical complications. 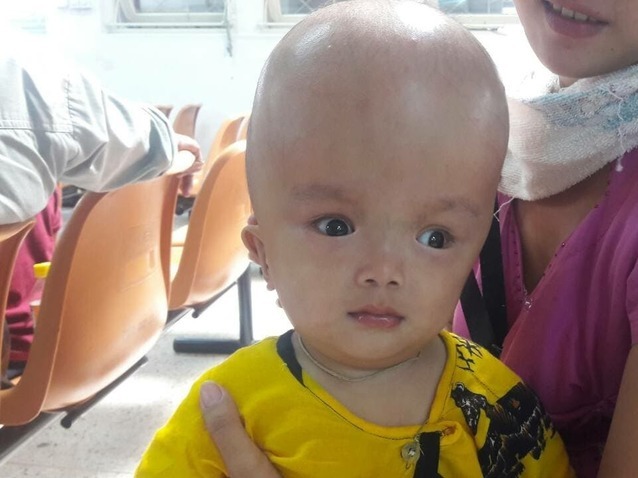 Our medical partner, Burma Children Medical Fund, is requesting $1,500 to fund the insertion of a ventriculoperitoneal shunt for Kar, which will drain the fluid that has accumulated in his brain. The procedure is scheduled to take place on May 23, and, once completed, will greatly improve Kar’s quality of life. Kar's case was submitted by Bue Wah Say at Burma Children Medical Fund in Burma. Kar was submitted by Bue Wah Say, Project Officer at Burma Children Medical Fund, our medical partner in Burma. Kar received treatment at Maharaj Nakorn Chiang Mai Hospital. Medical partners often provide care to patients accepted by Watsi before those patients are fully funded, operating under the guarantee that the cost of care will be paid for by donors. Kar's profile was published to start raising funds. Kar's treatment was fully funded. Kar's treatment was successful. Read the update. Alice is a baby from Kenya. She was born with a slight mass on her forehead and nose. Alice has been diagnosed with encephalocoele, a type of neural tube defect in which brain tissues and overlying membranes protrude through openings in the skull. Encephalocoele usually results from a failure of the neural tube to completely close during fetal development. Without treatment, Alice is at risk of developmental delays, brain damage, or premature death. Our medical partner, African Mission Healthcare Foundation, is requesting $929 to fund encephalocoele repair surgery for Alice. The procedure is scheduled to take place on April 15. Hopefully, the repair of this condition will allow Alice to grow up healthy. “Please help my child,” says Alice’s mother.